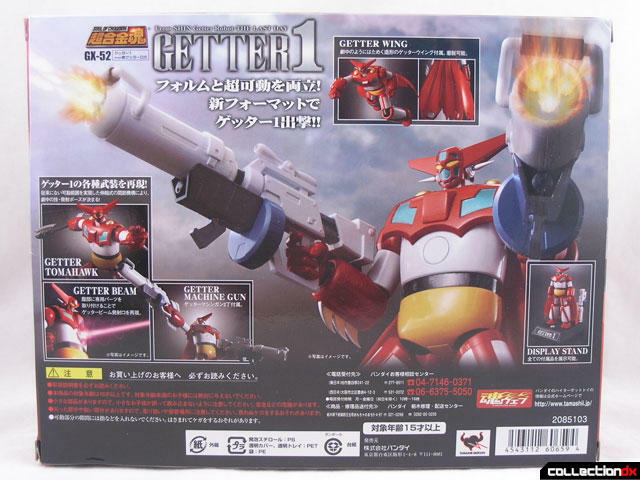 This version of Getter Robo comes from Change!! 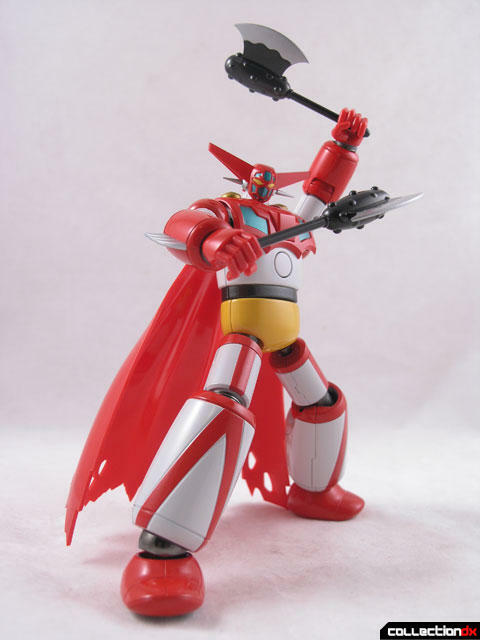 Getter Robo (aka Getter Robo Armageddon), the 1998 anime series. We’ve reviewed 14 toys from this series in the past, so we are not going to explain the story to you yet again. 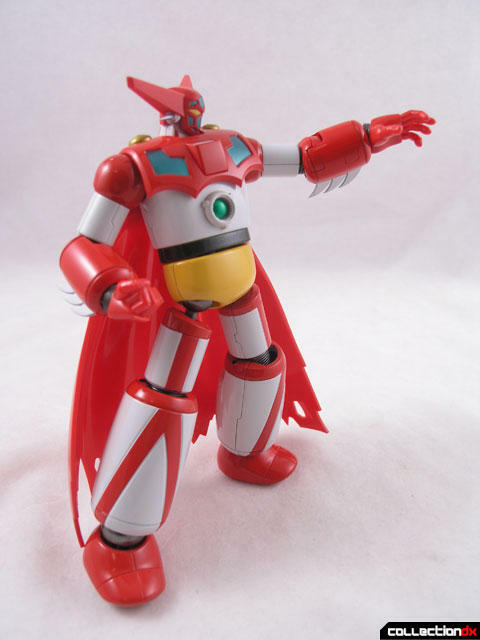 The GX-52 Soul of Chogokin Getter Robo continues the trend of super poseable, heavy, diecast robot goodness that re-started with the GX-45. It was an interesting choice to release an SOC from Change!! 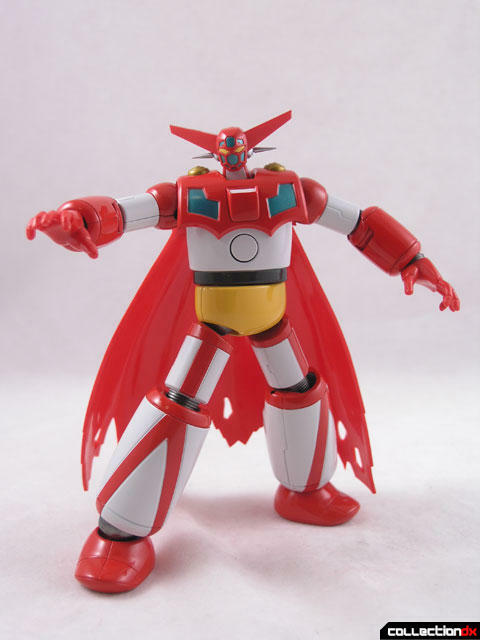 Getter Robo. 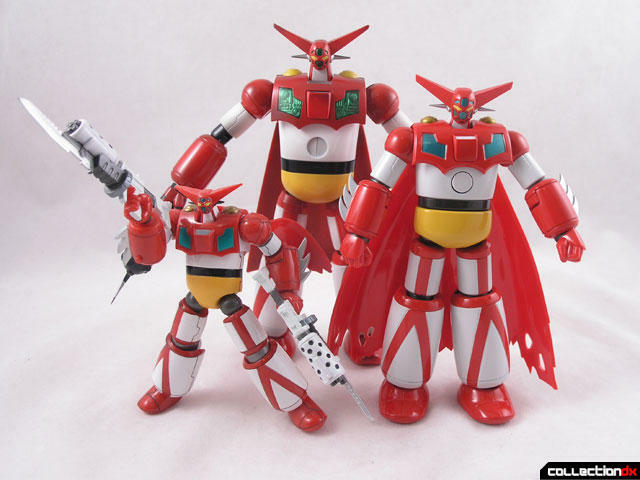 In the past, Aoshima made large high-quality gokin toys of mecha from this series. 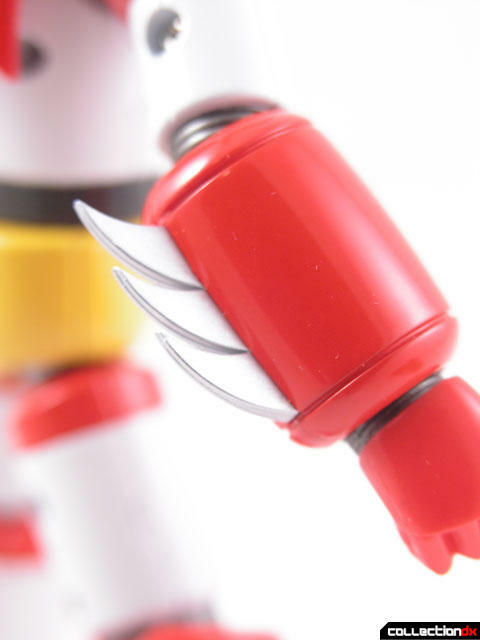 Bandai has stepped into the ring with it’s first from the series, which will hopefully lead to other entries in the line. 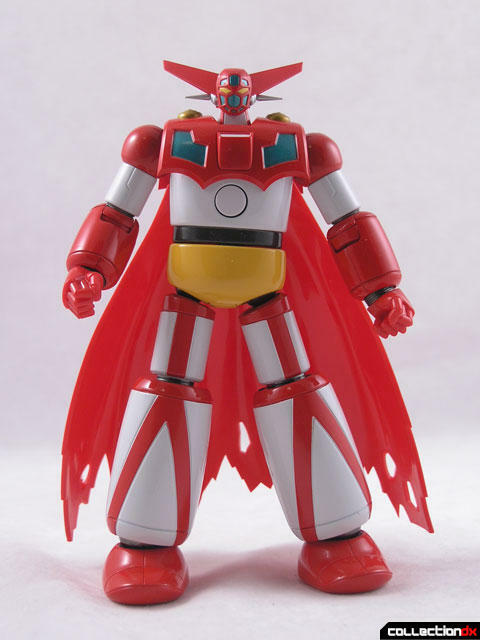 I would love a black getter in this style. The box is your typical SOC fare – thin cardboard, clear plastic trays, and the token Styrofoam coffin for the main figure. 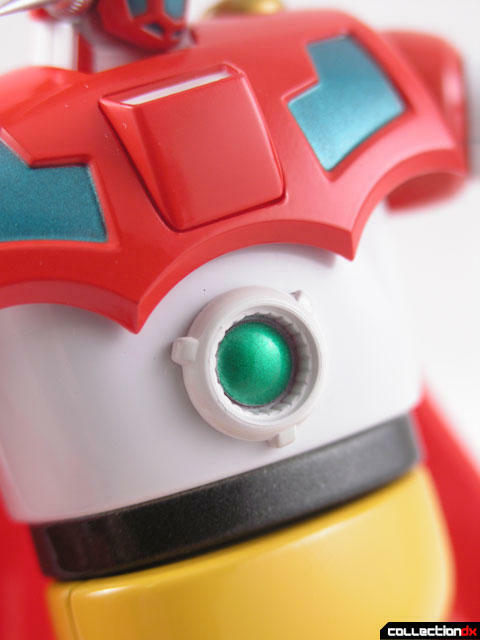 When I first took the toy out of its protective bag, something red went “plink” and fell to the floor. The small protruding cockpit on the chest had come off. The part had not been glued in place well enough. A quick dab of superglue and it is now all set. Still, the part should not have fallen off in the first place. This is a simple SOC release, but it is by no means weak. The toy is solid and has few flaws. I think, although smaller than the Aoshima version, this has better proportions. The head is sharp and well sculpted and has two neck joints. The bottom joint, where it connects to the shoulders, is a little loose, but nothing major. The entire shoulder cowl is movable, forward and backward, and the head and neck move with it. It’s a nice solution to an awkward point of articulation. The shoulders are metal and clicky. They can also pull out a little, but I don’t think it gives you any greater range of motion. The elbows click, and then you have interchangeable hands. 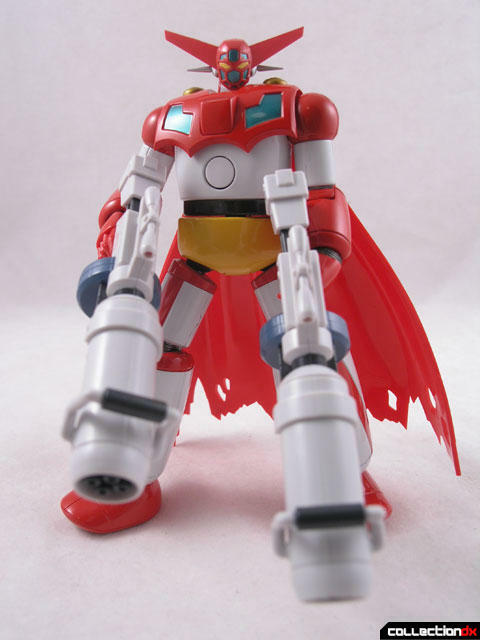 Worth noting is that because Getter Robo does not have firing fists, the arms do not separate. In the center of the chest is a small spring-loaded circle. 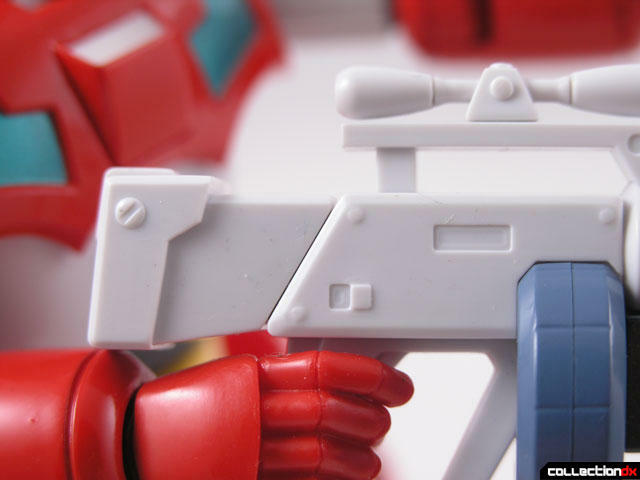 This moves to accommodate the getter beam weapon attachment. 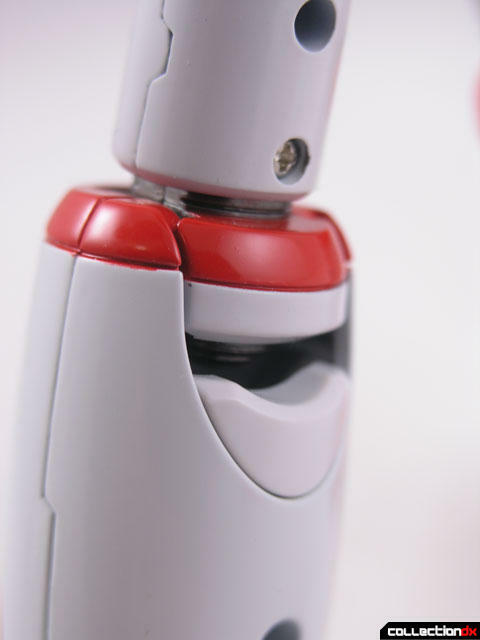 The waist swivels, and then the hips and legs have a great range of movement and is loaded with metal. 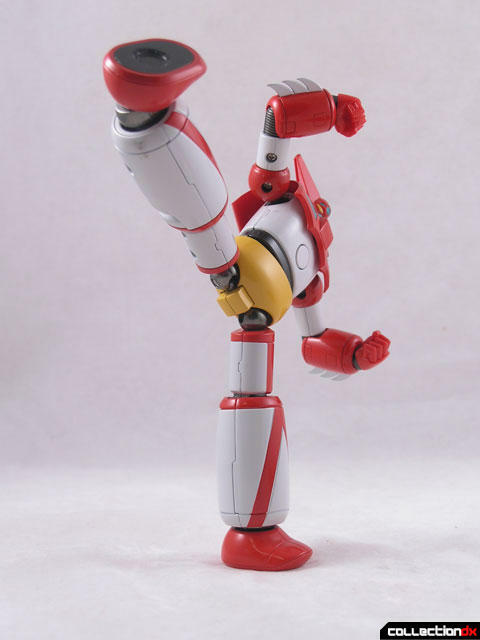 The hips can be pulled down to allow a more dynamic stance. 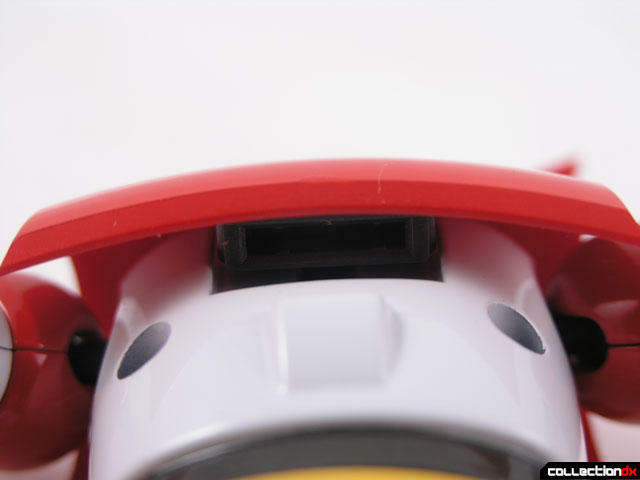 The legs can also be pulled down a bit from the hips, but this leaves a thin exposed bar connecting the two. Not sure if this is by design or not, but looks odd if you happen to pull it out all the way. The back of the legs have collapsible panels to allow for an almost kneeling pose. The feet pull out as well to give a wider range of motion. 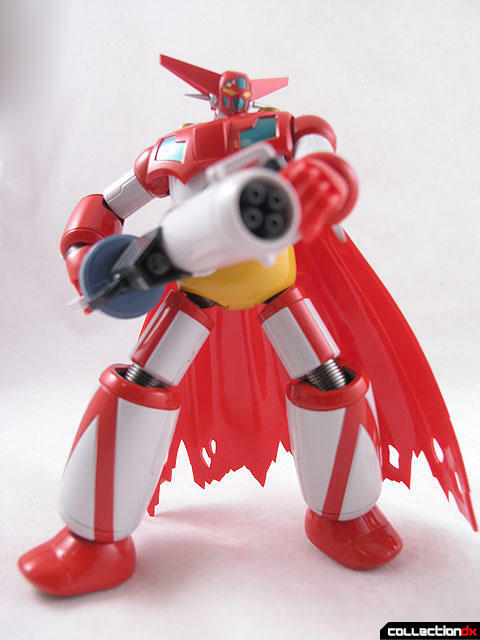 There aren’t a ton of accessories with Getter Robo, but the ones it does have are cool. First of all – the cape. 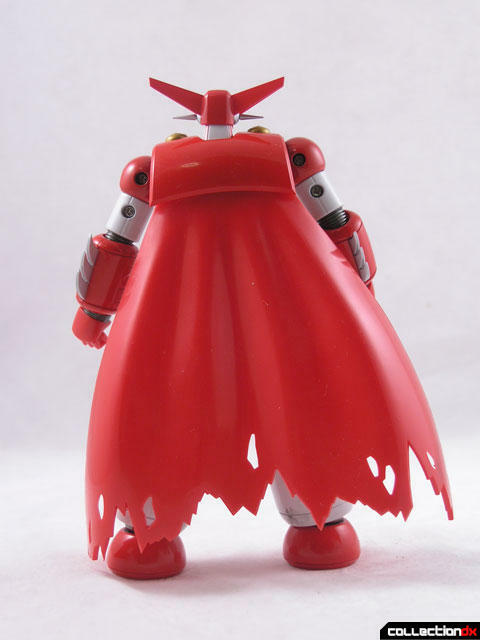 To this date, nobody has found a really great way to do the cape on these figures, and this is no exception. This cape has a tab that clicks into a slot on the back. 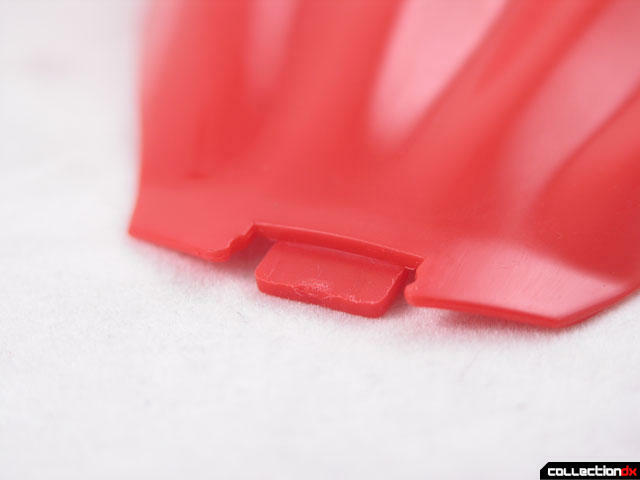 However, the fit is not tight, and you will find as you are posing it, that it will come off easily. 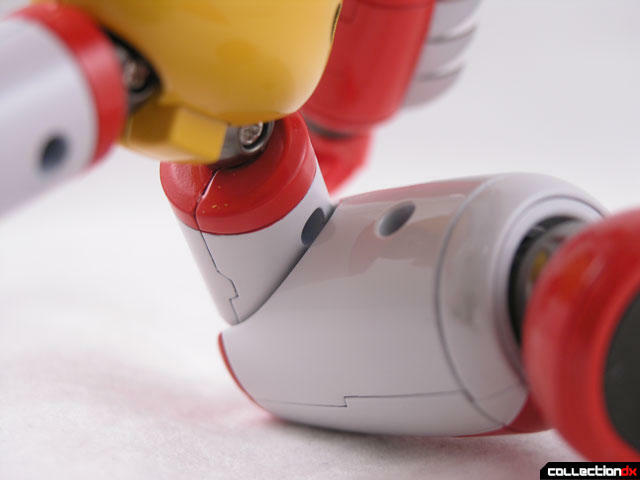 Variant hands are included – in this batch is open hands, closed hands, and holding hands. 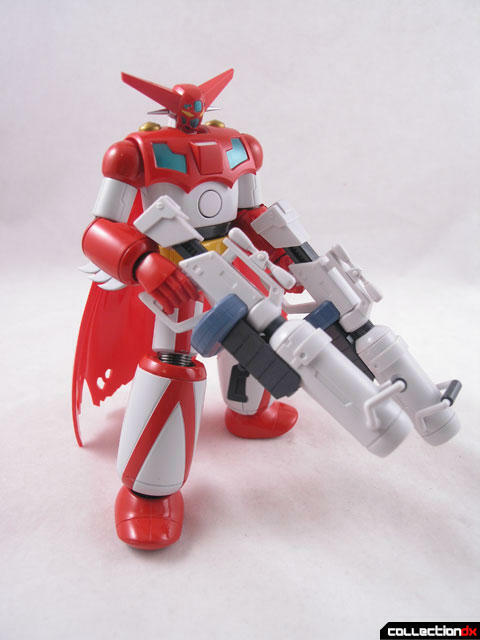 The holding hands can hold either the included getter Axes, or the giant Getter gatling guns. 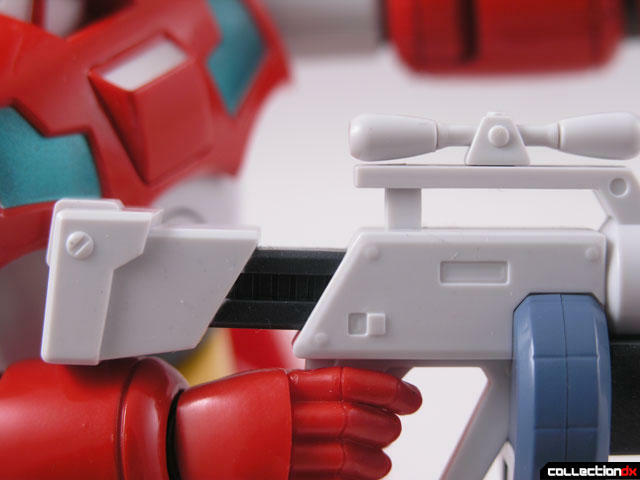 The guns are massive, well sculpted chunks of ABS plastic. The stock is extendable and the handle on the front can move. 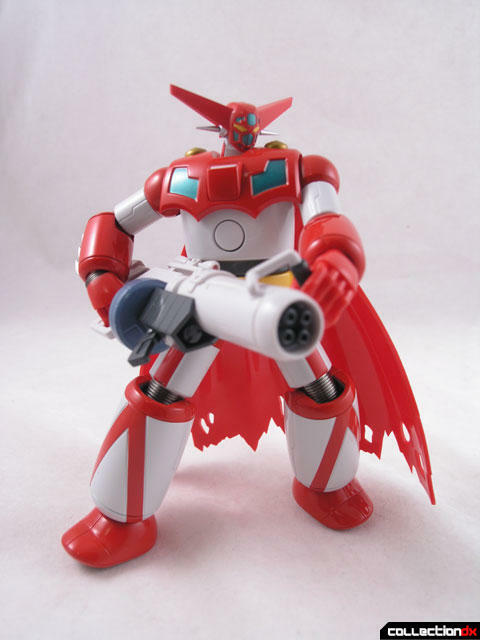 Unlike the Revoltech version of this character, there are no knives attached to the guns. 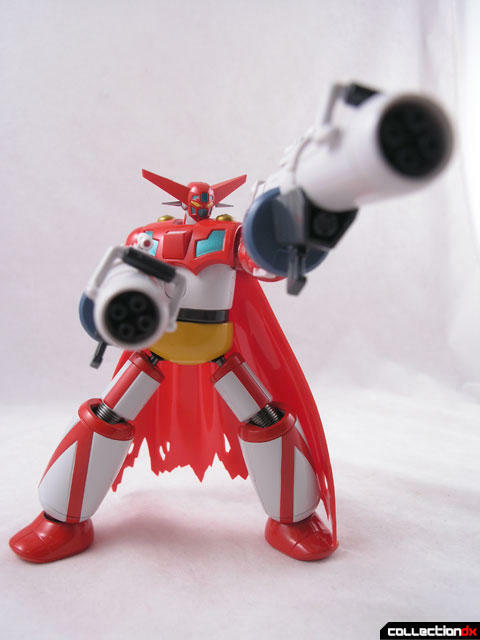 The guns can be held with one or two hands. The included stand is a basic SOC stand, but unique to this release. There are spots for the guns, extra hands, and axes. 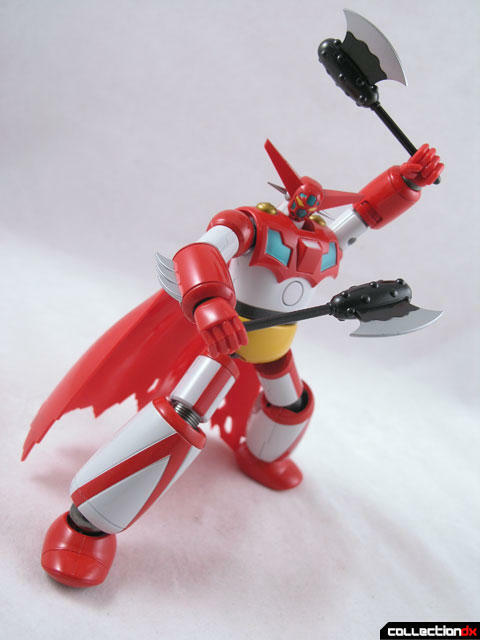 One omission is some kind of adapter to place Getter Robo in flying mode (like the GX-45). This is another solid release. 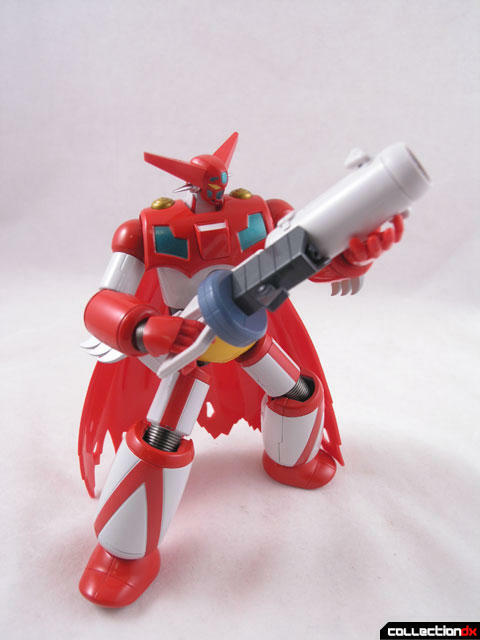 Some may argue that we don’t need yet another Chogokin Getter, but this is the first time Bandai has released this version of the character. Looks nice. 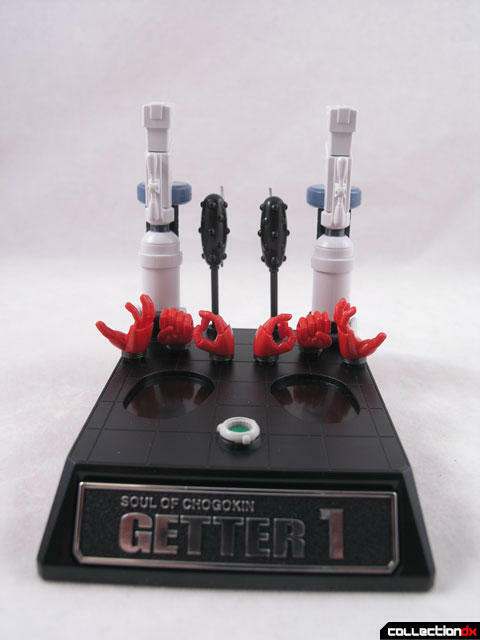 I wonder if they'll revisit getter 2 or 3. I usually don't buy an SOC without reading some reviews, preferably here on the trusted CDX, but I took a chance on this one. I got this last week, and it's one of the best SOCs I have, certainly my favorite so far. Well articulated for great posing, good metal content (except the feet), good number of accessories (love the guns), looks great, comes in a cool-looking box. I did have some difficulty getting the cape in place, but once I did, I don't have the problem you do with it falling out. Also didn't have the problem with the front part falling off, but it does seem as though it could with minimal force. As someone who got to hold this in their hands, I like this piece a lot. 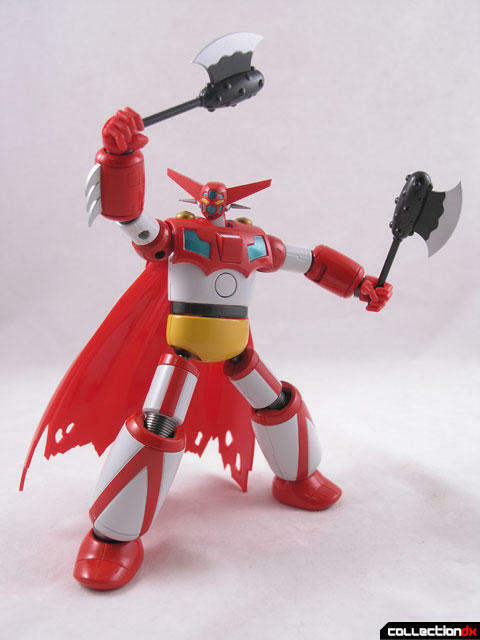 This is the version of Getter 1 that I think of first when someone mentions Getter Robo to me. It feels nice to the hands and poses well. Great piece of Chogokin, got mine about a week ago as well and am quite pleased.Plenty of weight and very posable as stated in this excellent review. No problems what so ever out of the box. I can now pass on the earlier GX-06 which I could never get past the "purple turkey legs"! 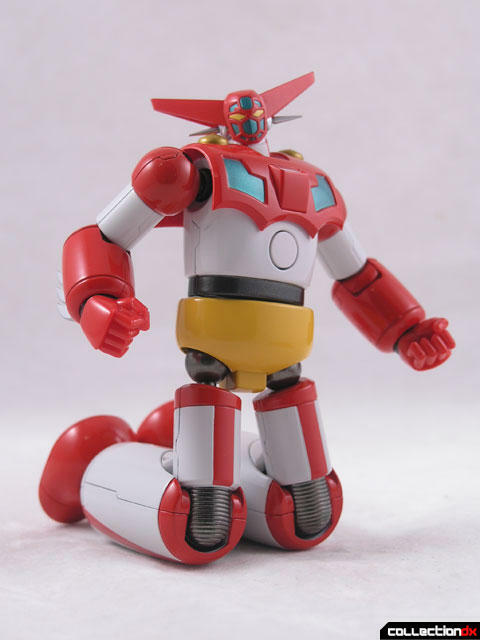 I'm overall partial to the GX-51 Getter Dragon's design, but its a different SOC anyways. I'm hoping too that the other two characters get produced. Also agree this would make an excellent "back version". I'm there with you! 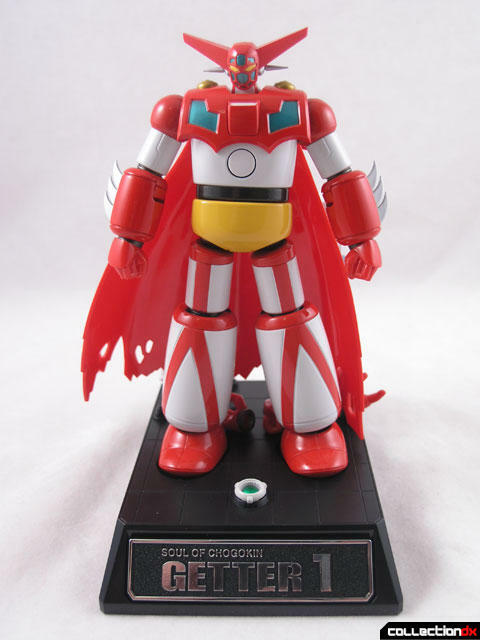 I finally gave in as if there is a Toyline I'm going to collect it might as well be SOC because its what a Japanese toy is suppose to be and feel like! I think I'm ready for my third one most likely it will be GX25 Garada or GX 26 Doublas to battle my OG GX1 Mazinger! This one looks great!! Looking forward to picking one of these up as well!!! 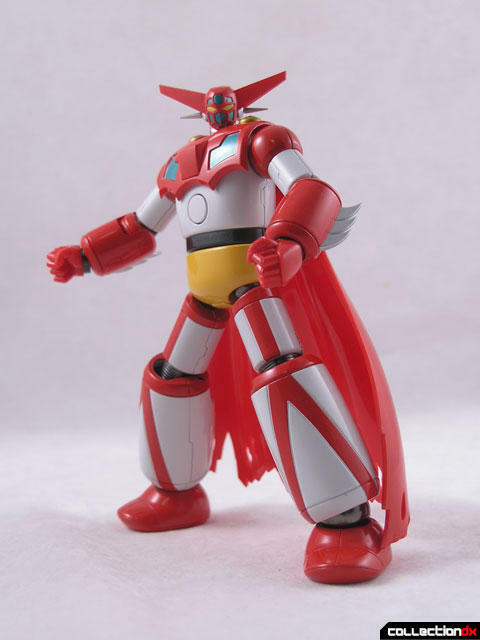 Am I the only one in the world who loves the 'New Getter Robo' version of this robot? Post about an SOC of that sleek-but-classic update and I'm 100% sold. As it stands... I'm 85% sold and rising. 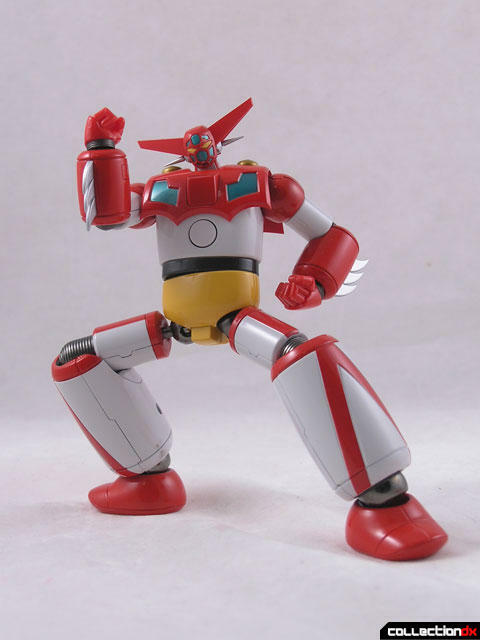 Curse you GX-45 Mazinger Z, for introducing me to small-yet-awesome Gokin! 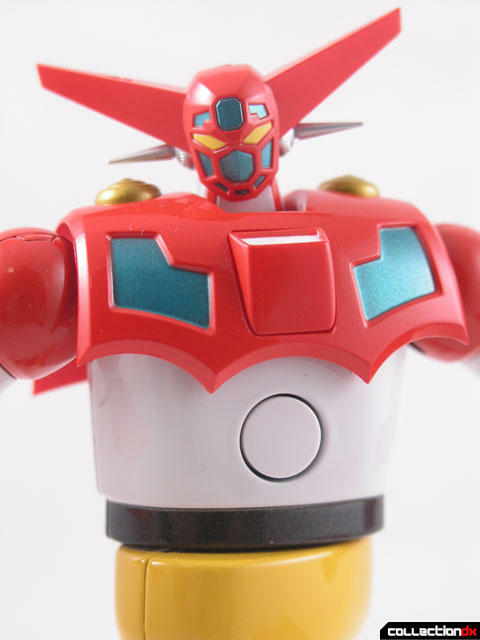 New Getter 1 was an interesting take on the design I thought. 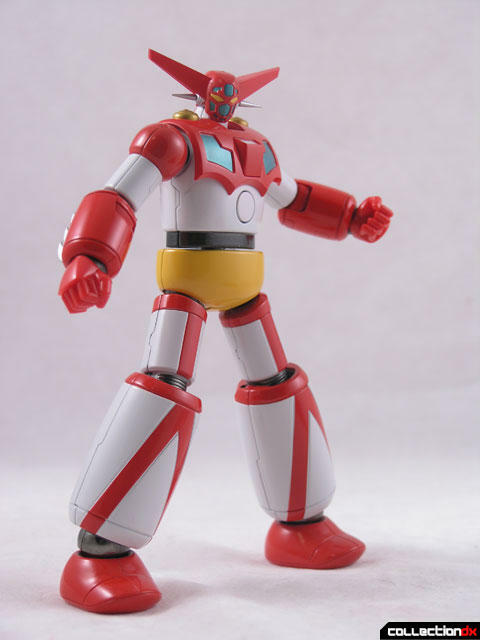 A lot sleeker than the usual Getter Style with lots of defined edges, but still keeping that nice chunky feel to the robot as well. 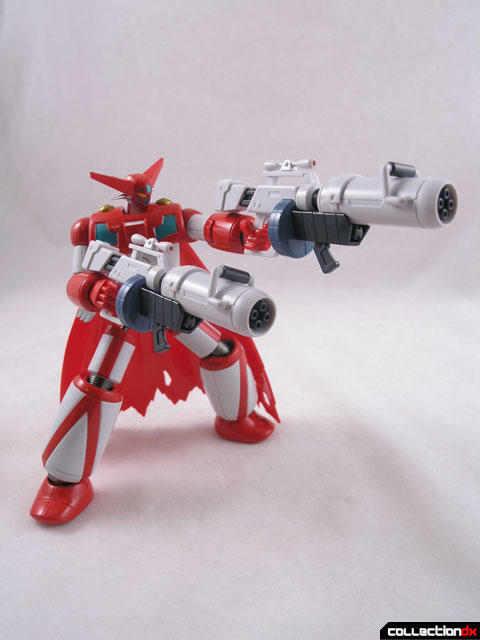 If Bandai made an SOC version of that at this price, I'd be really happy. 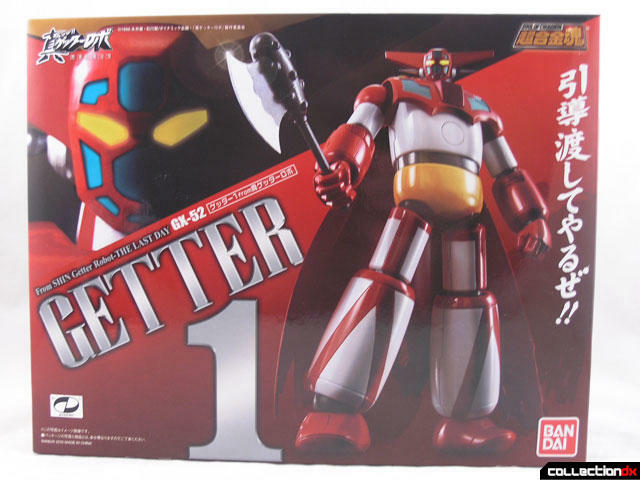 I love the New Getter version. 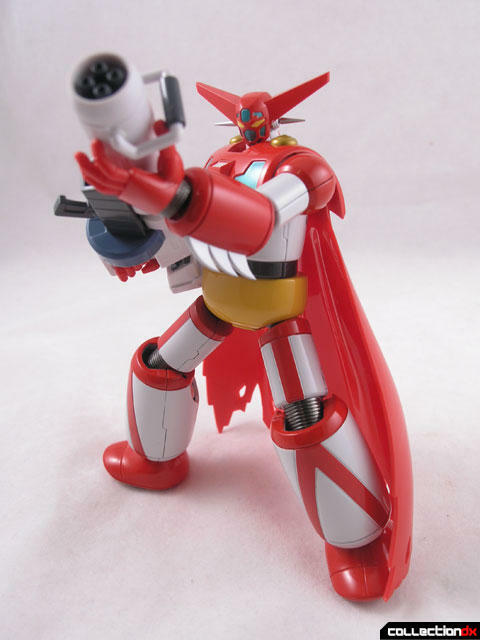 But, I'm a crazy Getter fan, who likes almost ALL the Getters (and has about a dozen versions of Getter One/Getter Dragon, and about half that of the others). The only one I don't like is the pink one from the 'Shin vs, Neo' series. not bad for its price... detail, articulation and accessories are impressive.. but if i have the means, id get the fewture version since im into robots that are modified and/or upgraded.. nice review guys! So what's better, the SOC or the Aoshima one? I'm guessing the SOC but I like how the other one has the clear green with the chrome bits underneath. I bought mine from HobbyLink Japan weeks ago and I'm really pleased with it. 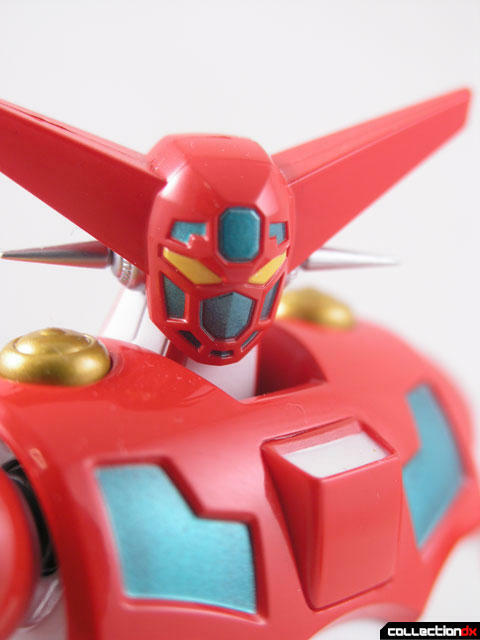 I hope they would release Getter 2 and Getter 3 and Getter Dragon and Getter Poseidon. I would definitely buy them all! I am getting this one soon... I have to complete my SOC obsession.